Warringah Mall - Whether planning to relax and catch a movie at the cinemas or trawling through the the shops for all the latest sales, Warringah Mall in Brookvale has you covered. Outdoor Shack - Less then 10 minutes away at Collaroy Beach, The Ourdoor Shack is your one stop shop for all your camping, backpacking, trekking, kayaking and fishing gear. Perfect if you plan to take on one of the hiking trails. Centro Warriewood - Located in Warriewood, Centro Warriewood is the perfect local shopping centre. Experience animal conservation in action and see the rescued sea life such as 'Sea Biscuit' the Green Sea Turtle, and Murdoch and Freckles, two captive bred Grey Nurse Sharks. Discover our colony of Little Penguins and their importance to the shores of Manly. The interactive rockpool lets you get hands-on and discover more about the local environment, or for the more daring take the plunge with Shark Dive Xtreme! The opportunity of a lifetime, where you could come face to face with sharks, turtles and stingrays. Experience a huge range of tours and trips to Sydney city and its surrounding popular areas including the Blue Mountains, Hunter Valley, Jenolan Caves and more. These day tours can allow you to see all the highlights of these famous and highly popular areas without any stress, leaving you to relax and enjoy the peacefulness of New South Wales. Whether you're experienced in waters sports, or you want to learn, Sydney Harbour Kayaks is there to help. There are a range of private or group lessons teaching kayaking and stand up paddle boarding, as well as free lessons designed to make you self sufficient on the water. Kayak tours are also available, allowing you to see sights of the harbour only visible from the water. These tours feature tales of Middle Harbours past, shipwrecks, interesting architecture, colourful rock formations, and more. With 3 convenient locations, Manly Kayak Centre offers a range of activities including general hire, beach picnics, tours, leisure boats, Kayak Fitness, Kayak Yoga and Stand Up Paddle Board classes. Join the tour guides for a picnic lunch, or book your own exclusive Sydney Harbour Beach Picnic and paddle a kayak or be tendered by private boat, perfect for special occasions. Become a part of a new social paddle group that focuses on paddling just for enjoyment on their Sunday Sessions. As one of Australia's most famous Zoo's, Taronga Zoo provides a wide range of activities including tours, daily talks, as well as animal encounters and the chance to be a keeper for a day. There are always child friendly activities, especially during the school holidays which are sure to entertain even the fussiest of children. Toronga Zoo prides itself on the conservation of animals including having a local and global animal breeding program. They work to establish conservation partnerships all around the world to provide support to key priority species and habitats in the long term. 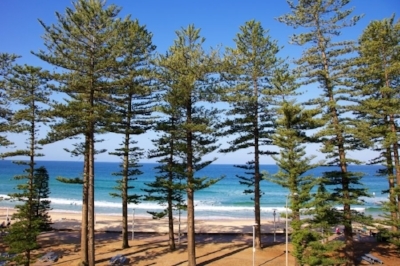 Manly Beach was named by Captain Arthur Phililip for the indigenous people living there. It was one of the first seaside resorts to allow daylight swimming and surfing back in 1903. It is great for active water sports such as surfing, windsurfing, parasailing, snorkelling and scuba diving. Or for a more relaxing experience, enjoy a family picnic on the sheltered sandy beach. As the focal point of Manly, Manly Corso contains an amazing collection of restaurants, pubs, cafes and eateries open from breakfast to late at night. The part-pedestrian mall is littered with popular surf shops, galleries and street entertainment. Definitely fun for the whole family.